Scott Bakula is perhaps best known for his five-year stint on the innovative television series Quantum Leap, which brought him a Golden Globe for Best Actor in a Drama Series, as well as three additional nominations, and four Emmy nominations. He was also honored an unprecedented five times by the Viewers for Quality Television. Today, Quantum Leap remains one of the most popular series in syndication around the world. Plus, a Quantum Leap album features songs Bakula performed in several episodes. 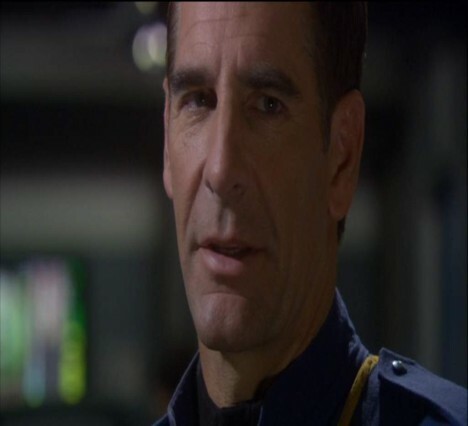 Bakula currently stars as Jonathan Archer, the captain of Earth's first deep-space exploratory starship, Enterprise NX-01, on Paramount's Star Trek prequel series Enterprise. His work on the show has garnered him a People's Choice Award nomination. Born in St. Louis, Missouri, Bakula moved to New York in 1976 where he pursued a career on the stage. In 1988 he was honored with a Tony nomination for his starring role in the Broadway musical "Romance-Romance." He had earlier made his Broadway debut as Joe DiMaggio in "Marilyn: An American Fable." His other theatre credits include the critically-acclaimed Off-Broadway and Los Angeles productions of "Three Guys Naked From the Waist Down," and the Los Angeles and Boston productions of "Nite Club Confidential." Bakula has received high praise for his work in a variety of feature film roles including the 1999 Academy Award-winning "American Beauty," as well as "Life as a House" with award-winning director Irwin Winkler. Other films to his credit are "Lord of Illusions," "Major League: Back to the Minors," "A Passion to Kill," "Mi Familia/My Family," "Color of Night," and Paramount's football comedy "Necessary Roughness." He made his 1990 film debut in director Carl Reiner's "Sibling Rivalry." Alternating between film and television, Bakula has appeared in such recognized series as Designing Women and Murphy Brown, and in the mini-series "A Girl Thing," "The Invaders," and the ABC mini-series "Tom Clancy's Netforce," as well as the telefilms "Mean Streak," "Papa's Angels," and "Bachelor Baby," which he starred in and produced. Bakula also worked on "What Girls Learn," an original telefilm in which he served as executive producer through his BPI Productions in association with Paramount Network Television. He also starred in the independent film "Ghost of a Chance." His singing ability has afforded him some special opportunities including performances at the Kennedy Center Honors, at Carnegie Hall and at the Hollywood Bowl with Carol Burnett, as well as the animated musical "Cats Don't Dance" as Danny the cat.